This is the cutest weed I’ve ever seen! It is a vine with dark pink tendrils. 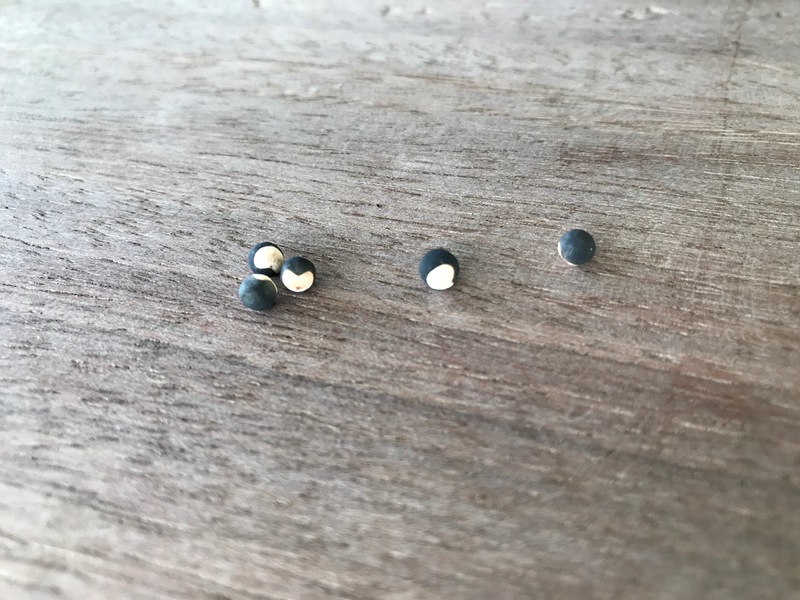 Inside each puffy ball are two seeds. 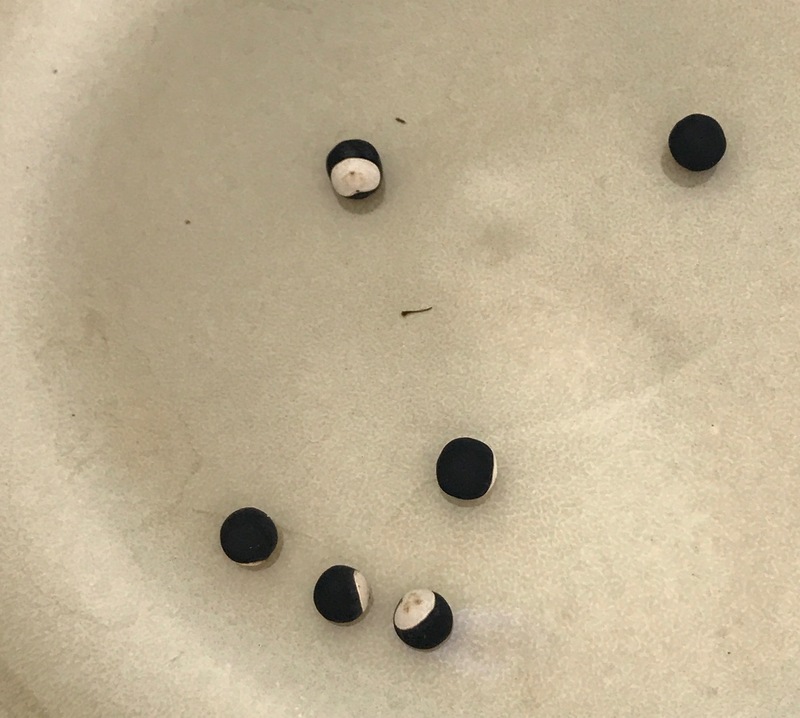 The ripe seeds are black with white hearts! I didn’t get to inspect the dried up balls with the ripe seeds. Something to look at next time I’m at the farm! It is an introduced plant and is found throughout the Philippines. It has small white flowers. When I was taking pictures of the plant, Tara walked up to me and ate the hagonoy that was holding the weed up. No, Tara! It’s the cutest weed ever. And, you probably shouldn’t be the hagonoy either. It’s toxic! Update: Some friends have fond recollections of playing with this weed when they were kids! The puffs make a sound when popped. The black seeds were used for “sumpit” , a type of mouth blow gun. 2nd Update: Photos of the seeds. Memories of childhood! I loved playing with this. 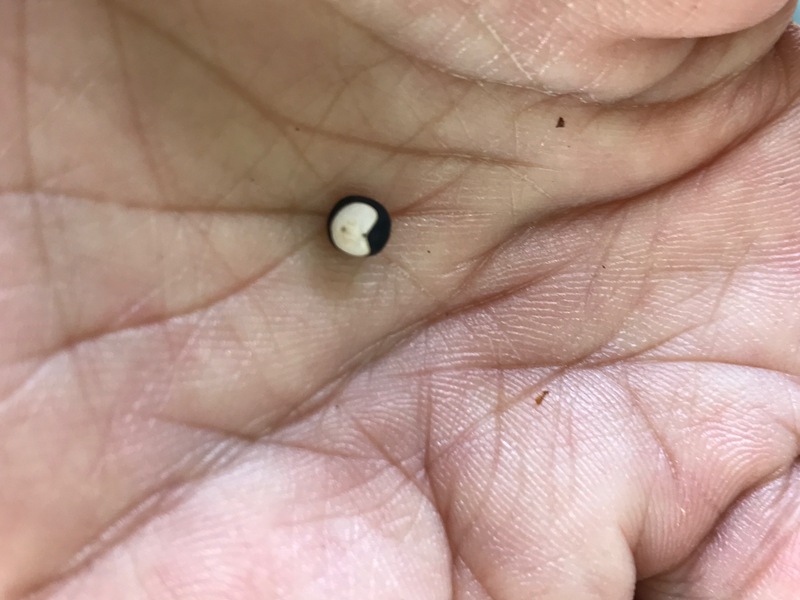 And you’re right about the white heart on the black seed: I was fascinated by the pattern when I was a kid. Omg, the cutest weed has the cutest seeds! I didn’t play with this weed as a kid. So I went back to the farm and popped a few of the balloons and collected seeds from the dried up balls! Will update this post with pics of the seeds!